FC Cincinnati promotes responsible drinking and positive fan behavior at Nippert Stadium. The FC Cincinnati Fan Code of Conduct and details of the alcohol management plan that appear below ensure that fans have a safe and fun experience. 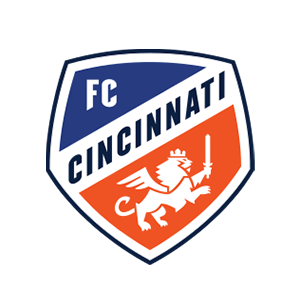 FC Cincinnati will provide a fun, safe and fan focused environment for all home matches at Nippert Stadium. Fans are encouraged to participate in supporting the club through cheers, singing and respectful fan participation. It is the club’s expectation that fans will be courteous to their fellow patrons, fans, players and referees. TIFO’s and banners in support of FC Cincinnati are encouraged and welcomed. Unless specifically approved by FC Cincinnati Operations Department in advance, banners may not exceed 3 feet in height and 4 feet in width. Banners may not cover existing stadium signage or obstruct the view of other guests. Banners with profane, inciting, political or otherwise inappropriate messages will be removed. FC Cincinnati encourages the responsible sale and consumption of alcoholic beverages. Guests should be prepared to show proper identification and proof of age when purchasing alcohol at Nippert Stadium. All alcohol sales will stop in the 70th minute of the match. Designated drivers who make this pledge at FC Cincinnati home matches are entered into the Major League Soccer Responsibility Has Its Rewards Sweepstakes. Visit a guest services location or fill out the online form to take the pledge!